Oscar Oliver’s Christmas has now topped 12,000 Facebook ‘Likes’ and is the most popular of Mark Haysom’s five free short stories. It has been ‘shared’ almost as many times as it has been ‘liked’ and has attracted hundreds of comments – both on Facebook and on this website. The five free stories are available to read online or as downloads for e-readers. 1963. The year the Beatles first top the charts. The year Martin Luther King has a dream. 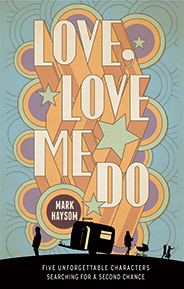 The year Truman Bird moves his family from their home in Brighton to a dilapidated caravan in the Ashdown Forest – then disappears. Truman’s a charmer, a chancer, a liar. He’s always got away with it, too. But now he’s gone a dangerous step too far and only has one day to put things right – before he loses everything. The party of the sixties is well and truly over and what’s left is the hangover. It’s 1973 – a time of unemployment, picket lines, the IRA. There’s violence on football terraces, a crash on the stock market. But it’s also a time when you can imagine the stars. 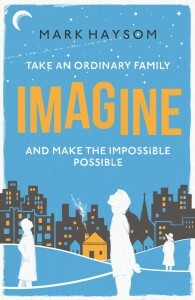 IMAGINE will be published overseas and as an e-book on March 7th 2015 and as a paperback in the UK on December 3rd. © 2019 Mark Haysom. All Rights Reserved.